“Play it again Sam”, this is probably a dialogue that every single movie lover recognises and if so one also recognises the character who said this and the stylish location at which he said this. Like many before me I am also a fan of the movie Casablanca and the pub Rick’s Americana. So recently when I got the chance to visit the city Casablanca my first priority was to visit Rick’s cafe , a cafe in the perfect location that would roll back the years to the time when a certain Humphrey Bogart ruled over the town. Now I must admit that I am not a big fan of the city Casablanca, added to this my limited command over French ( probably the only thing i might be able to say with some conviction would be ‘Je ne parle pas Francais’) meant that I had a tough time getting around the city. After about an hour of asking people for direction finally I somehow managed to find the place. Admittedly the cafe is at some dangerous surroundings and it would not exactly be wise to hang around alone after dusk. 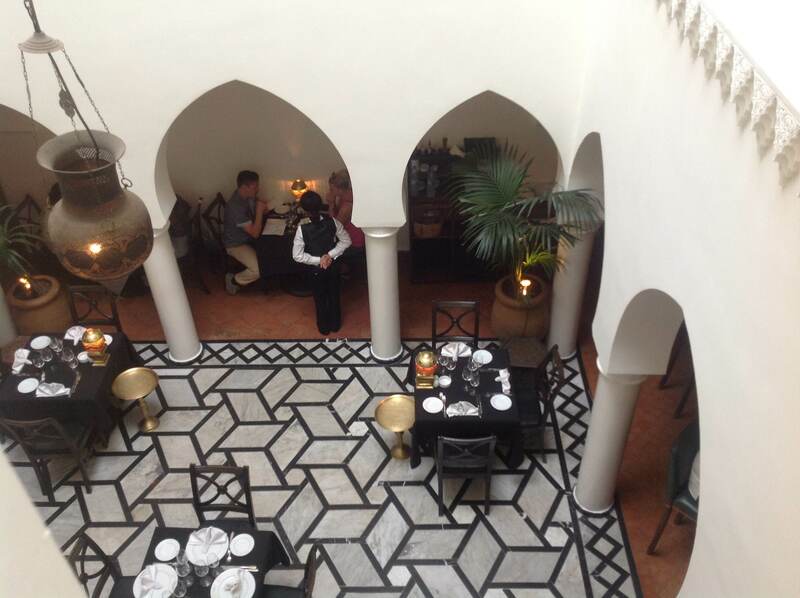 The cafe, which opened in 2004, is built in traditional Moroccan style and it has a Riad, which is a central courtyard. 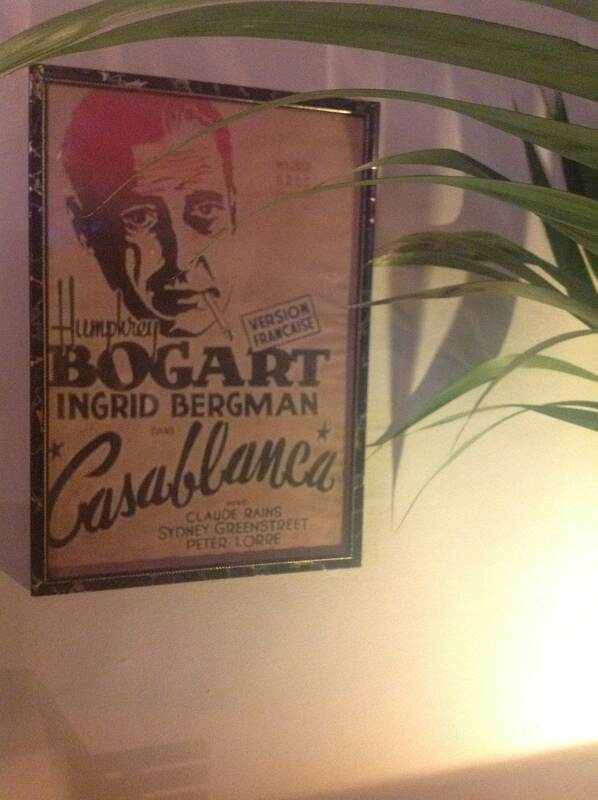 The insides of the Cafe are designed in such a way so that it is able to recreate the bar which Humphrey Bogart and Ingrid Bergman made famous in the Movie. It even has a piano Bar that has all the architectural and decorative details, such as curved arches, balconies as well as beaded and stencilled brass lighting which reminds one of the film. Rick’s is a place which with its unique design and waiters wearing the Fez hat is reminiscent of the old days. There is an authentic 1930’s Pleyel piano and As Time Goes by is often played. 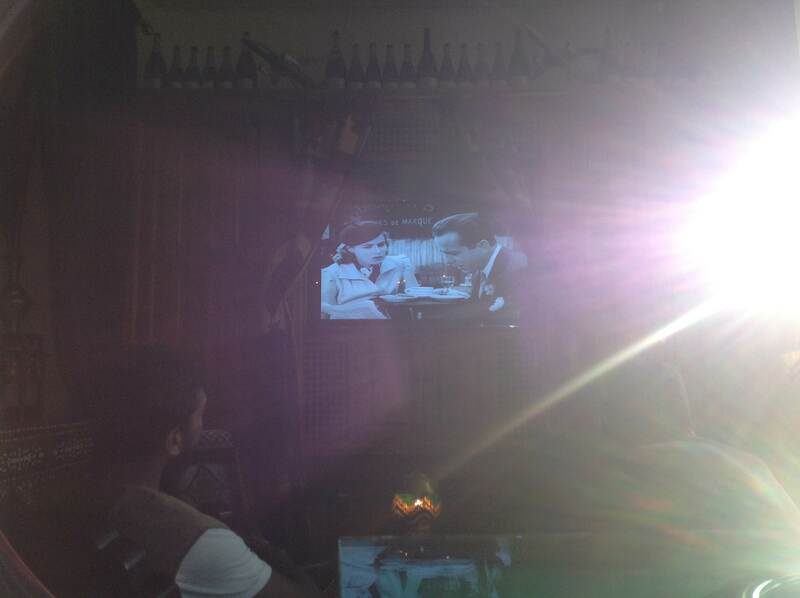 They even have a showing of the movie Casablanca throughout the day. 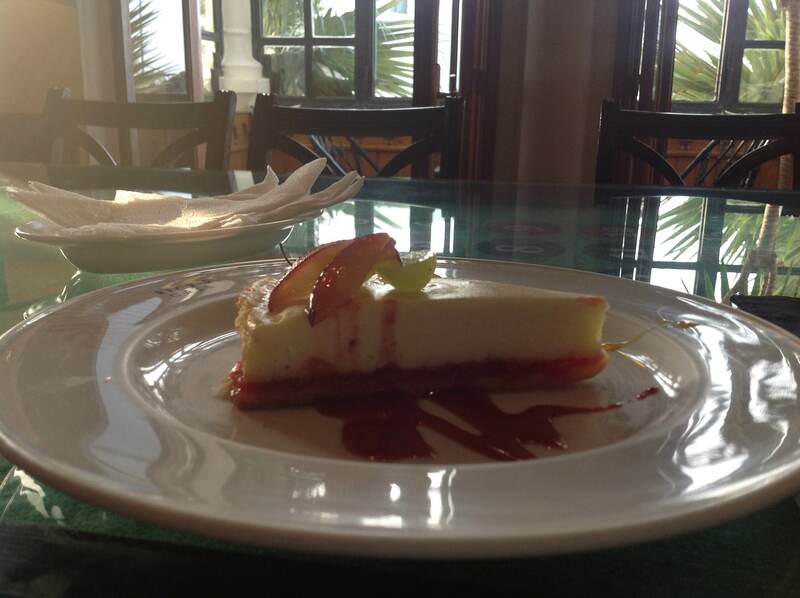 Oh, and my favorite item on the menu – Rick’s cheesecake. Casablanca is a city which is growing ever easily accessible thanks to the influx of airlines like Ryan air which flies between Eindhoven and Marrakech for 70 euros and if one does decide to visit the country and is a fan of the movie Casablanca then this is one cafe which should be on your list. 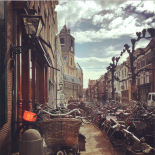 This entry was posted on November 3, 2013 by admin@theleidener in Deepu, Travel, Uncategorized and tagged Casablanca, Deepu, Morocco, Rick's, travel.